The universalized Shakespeare stream is seen through a Marathi production, directed by Sharad Bhuthadia, by profession a pediatrician, but belonging to a category prominent in India, of the amateur professional. These are artists who do not earn their main living in theatre, yet devote all their leisure and creative energy to it, run theatre groups and even travel with their shows to different parts of the country. Bhuthadia’s group, Pratyaya, chose to perform Lear inspired by the much acclaimed translation by Vinda Karnadikar, eminent Marathi poet, who is able to capture the nuances of Shakespeare’s language without sacrificing its images or allusions. A faithful translation, it was performed in a manner ‘faithful’ to the tradition of realist staging of Shakespeare. This has been the most common staging practice for Shakespeare in India. Based on universalist assumptions of a stable and authoritative text, it performs Shakespeare straight letting the text speak for itself. It seeks to let the past live in the present, playing up its foreignness. Though sometimes critiqued as “derivative” and “essentialising,” this universalist staging practice, particularly in our colonial and postcolonial context, functions as an empowering mimicry. “Doing it like them” becomes a mastering of the master colonising text. Further, the group, Pratyaya, coming from a provincial town like Kolhapur, is able to eschew the market rules of Bombay theatre: “Ours is a focused outlook on theatre,” says Sharad Bhuthadia, asserting that they choose to do meaningful theatre which can “go beyond and handle genuine human problems by going deep into the understanding of man’s life” (quoted in a review, Independent Journal of Politics and Business, 20 August 1993). Bhuthadia’s Raja Lear thus did not need any further entry points into the play, and while it performed an edited version, in three acts, it nevertheless, did full justice to the main themes of the play. So successful was the universalizing of this production that critics had no difficulty in contemporising the play: “Lear becomes the tragedy of the India we are living in – the tragedy of a great nation being torn apart by centrifugal forces: of a political class composed of an imbecile king surrounded by sycophants (Regan and Goneril) and ruthless manipulators (Edmund); of the voices of sanity being disowned (Cordelia) and banished (Kent) or simply disappearing (Fool); of goodness having to pretend insanity (Edgar). Lear, then, does not remain the tragedy of one man. It becomes the tragedy of an entire people, an epoch.” (Sudhanva Deshpande, The Times of India, January 1993). 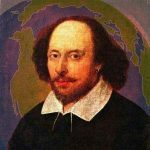 The localized Shakespeare is another performative style, particularly favoured in the earlier years, which imported a definite Indian flavour and colouring to transform the alien vastness of the text into an accessible familiarity. The degree of change varied: while the adaptations of the Parsi theatre in the 1880s took great liberties with Shakespeare’s plot, character and even words, the post- independence localizations have been attempts to root Shakespeare more acutely in a specific local ambience. The production, chosen to illustrate this stream of performance, is a student production of the National School of Drama. Samrat Lear, directed by John Russell Brown. The National School of Drama, in New Delhi, has a tradition of inviting directors from different parts of the country and from abroad to train their students in a variety of performative styles. Visiting English directors have often chosen to direct Shakespeare even though the performances are always in a Hindi translation. John Russell Brown’s production played almost the full text – a marathon three and half hour long performance – in a translation by Harivansh Rai Bachchan, one of the foremost Hindi poets of the twentieth century. Brown’s own closeness and expertise with the English text gave the production sharply etched characterisation, robust energy, and a particular focus on the narrativisation of the story. Its localization was not to resituate the story in another well-defined place or period, but to let its relocation emerge from the theatrical event in Delhi. “I have not localised the story in any specific way,” Brown said in an interview with the author, “because we were not doing an “authentic” Indian production. I wanted this Lear to speak beyond the moment.” To this end, he said, he had “encouraged the [student] actors to use their own ‘folk’ physicalities, (their own understandings of their theatre traditions) in their responses to s,” because he believed that a “play lives between the actor and the audience.” The result was a fairly successful attempt to meld the conventions of the traditional theatre, the style of the modern Indian theatre with the speech rhythms of Hindi onto the story of Shakespeare. Traditional Indian costuming and music added the finishing touches. As Kavita Nagpal, seasoned theatre critic, remarked, the production made “the play breathe in a way that was both historical and contemporary” (Hindustan Times, 15 March 1997). Both these productions, the universalized Shakespeare, Raja Lear, and the localized Shakespeare, Samrat Lear, though divergent in their performative styles, shared a conventional interpretative stance. They ventured no innovative critical perspectives on the text, trusting a ‘straight’ telling of the tale. They both proved that Shakespeare in translation could successfully speak to its audiences. The indigenised Shakespeare is perhaps the most creative and, therefore, somewhat controversial form of staging Shakespeare in India. Here, the Shakespeare text is not just adapted but appropriated and acculturated into an indigenous theatre form. Devotees of the literary text find this kind of transformation a desecration; yet successful indigenisations, which immerse Shakespeare’s text into another aesthetic and cultural worldview, can spark off new meanings and fresh configurations of the same text. The production chosen to illustrate this genre of performance is a rewritten version of Lear entitled Iruthiattam (The Final Game) directed by R. Raju from a Tamil translation and adaptation made by well-known novelist and playwright, Indira Parthasarathy and presented by the theatre group, Arangam. R. Raju, from the School of Performing Arts at Pondicherry University, and a former NSD graduate, belongs to the Kerala school of experimental theatre, the ‘nataka karali,’ making appropriation and adaptation his metier. And Arangam is no ordinary theatre group either; it consists of highly skilled artists – dancers, musicians and folk theater practitioners – in their own right. Together they created a tightly structured, economical production distinguished by consistency and unity of rasa or mood. It interprets the play in terms of a power struggle, retains part of the sub-plot to make a feminist point that sons too can be cruel, and ends with the storm scene at the end of which Cordelia appears to rescue Lear. Even though the adaptation was titled “The Final Game” it did not in the least subscribe to a Beckett-like doom and gloom of Endgame. Since this version took liberties to play around with and cut up Shakespeare’s canonical text to suit its own radicalising perspective, it may also be seen as an example of the postcolonial Shakespeare. Apart from these, the English language Shakespeare is best represented by an amateur student production of King Lear by the St. Stephen’s College Shakespeare Society, one of the oldest collegiate dramatic societies with an almost unbroken record of performing Shakespeare for over 75 years since 1924. Arjun Raina, a young actor director worked closely with the students drawing out their impressions and structuring them into stageble ideas. The production was marked by an iconoclastic irreverence, at times a plainly undergraduate-ish swipe at tradition, which nevertheless produced some novel stage images, e.g. the introduction of a whimsical Lear in boxer shorts and gloves brought onstage reclining in a brightly coloured coffin symbolizing the death of the monarch. The rest of the cast sat on and moved around with high but crude wooden stools that wobbled and wavered at every step, imaging Lear’s world as full of social climbers caught in the instabilities of the social hierarchy. The characteristic opening sequence had all the court, clad in black and white, looking harlequinesque, streaming in to ‘view’ the show of Lear’s division of the spoils through tinseled masks and opera glasses (these were changed to dark glasses after the blinding of Gloucester) as also looking, observing, spying on each other – all heightened, perched on the wooden stools. Lear chased his screaming daughters down the stage and then pieces of cake were passed around during the division of the kingdom. Though this production was peppered with more deconstructive sallies than it could ultimately pull through coherently, it was unusual in the liberties it took – informed by the iconoclasm of contemporary western staging practice – because the norm for the English language collegiate Shakespeare, performed for a pedagogic purpose, has been a traditional staging in period costume.